Jypyä Pop (Turku, Finland) on 12 February 2017 in Landscape & Rural and Portfolio. Superbe aspect laiteux de la chute d'eau ! yes...unable to stop this !! Lovely ! Good silk effect in this shot. A nice image: Water is "silk" and ice is very well focused. I lie the soft but powerful feel! 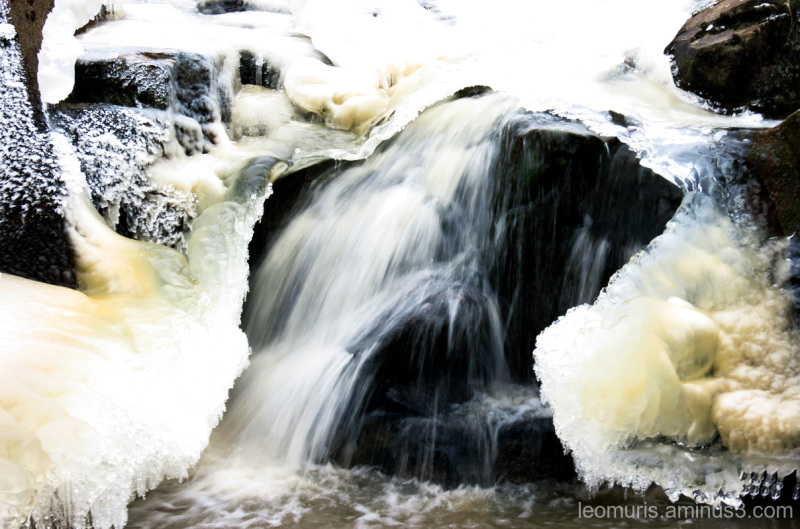 Nice capture of the falling water and white/yellow ice on the rocks. Always ... even when we think it is quiet .. It has overcome it's prison of ice.